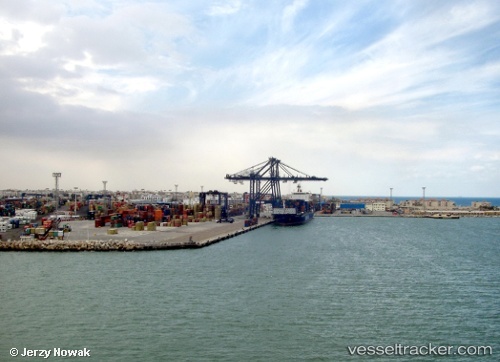 The Alexandria Ports Authority decided Saturday, March 18 to close two main Alexandria ports due to bad weather and increased wind speed, state news agency MENA reported. Alexandria’s Bughazi and Dakheila ports were closed after wind speeds reached 30 knots/hour and waves were expected to reach highs of 2-2.5 metres in the Mediterranean Sea. The Egyptian Naval Forces managed to refloat a Bolivian cargo ship from sinking, while it was 4 nautical miles away from Alexandria Port. The cargo ship, coming from Lebanon, drifted off course as the water leaked into it through a hole in the front of the ship. Alexandria Port Authority received a distress call from the ship and immediately a rescue unit rushed to the scene and managed to refloat the ship. The ship was moved to one of the wharves of Alexandria Port to repair it.